BMW M2 Competition - 7:52.36 min on Nurburgring! Home / Models / BMW M2 / BMW M2 Competition – 7:52.36 min on Nurburgring! Onboard Sport Auto Testdriver Christian Gebhardt takes the BMW M2 Competition on the famous Nordschleife and records a spectacular time – 7.52.36 min. To put things in perspective, the new and significantly more powerful F90 M5 recorded a time of 7:38.92, while the track-focused M4 GTS lapped the famous ‘Ring in 7:28 min. The previous M2 had a lap time of 7:58 minutes while the M4 lapped the track in 7:52. The official lap time of BMW M test driver Jörg Weidinger in the M2 Competition was 7:50 minutes, so fairly close to the Sport Auto time. In this new generation M2, the Competition model get a new engine, making a lot more power. 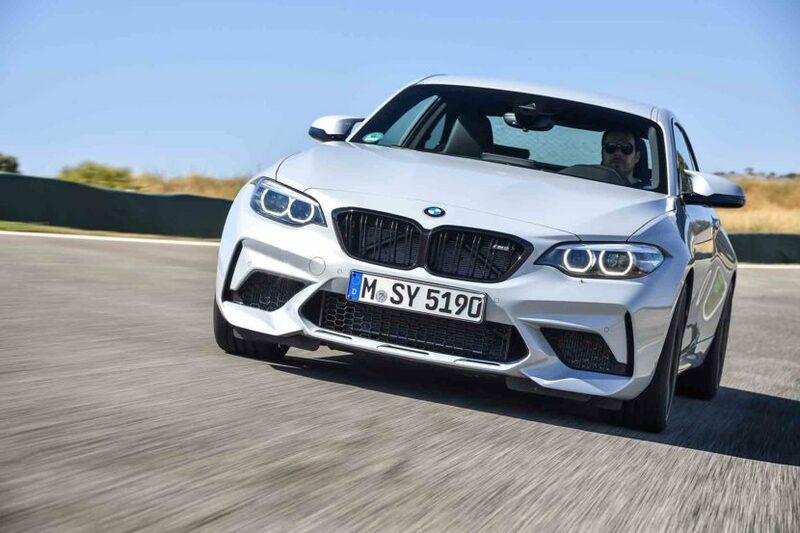 So rather than the old N55 engine in the normal M2, which was a 3.0 liter single turbocharged I6 making 365 hp and 343 lb-ft of torque, the M2 Competition gets the S55 twin-turbocharged 3.0 liter I6 with 410 hp and 406 lb-ft. The S55 is pulled directly from the M3 but, due to the lack of front airflow, had to be de-tuned a bit for M2 duty. This S55 engine has a different software mapping for different markets. For example, European cars are slightly neutered by the OPF (Otto Particulate Filter) which is elaborately integrated into the already complex exhaust gas purification system. Basically, this means that a more aggressive tune is being used in those cars, while the US and Asian markets get a slightly different mapping. In the end, both produce the same power at the wheels.